Over recent months, a consistent theme of debate about education has been the need to break down the “Berlin Wall” between state and independent schools.Repeated demands for independent schools to sponsor academies, and recent explicit calls from ministers for state schools to be more like private schools, have made the same assumptions. Firstly, that there is a need for a one-way flow of knowledge and skills from independent to state schools and, secondly, that the best way to achieve this is through state-led driving of publicly funded schools towards private-school leadership. You might think that I would welcome such proposals, as United Learning, the chain of academies of which I am chief executive, is a unique collaboration between a group of independent schools and a group of academies. In fact, I think that these assumptions are fundamentally flawed and the success of our schools is based on explicit rejection of them. Or, to put it another way, context really matters in education. The great teacher in an academically selective school may not be a great teacher in an inner-city comprehensive school where pupils’ attainment on entry is well below the national average. Equally, many of our excellent academy teachers would not be at their best in a private-school classroom. United Learning is fortunate to have some fabulous head teachers – many of them as effective as any school leader you could find anywhere. But the truth is that not all that many of our independent school heads would be great heads of challenging academies. And vice versa. The personal qualities required are not completely different. But once you’ve spent 20 or more years of your career successfully leading one type of school, you have acquired a set of behaviours for school leadership that are well embedded and thoroughly learned. Changing those behaviours and habits to suit another context is not easy. The key to the success of what United Learning is doing is mutual respect. If everyone begins from the assumption that they may have something to learn, as well as something to give, collaboration is possible and can succeed. If the sales pitch is that independent schools are morally obliged to rescue challenging urban schools, then everyone is left feeling patronised: the independent schools, who know what they do in educating children well is already inherently morally worthwhile; and the urban teachers and leaders, who have spent a career working flat out to offer opportunity to their students and know that someone who hasn’t done it before won’t be able to do it better. That brings me to the second faulty assumption: that somehow a government-led drive to make state schools like independent schools is likely to succeed. In fact, the reason why independent schools are as they are is precisely because they are independent. And independent means, most of all, independent of government. Now, I wouldn’t have spent a large part of my working life in the Department for Education (where I was head of standards) if I didn’t feel that government could make a big difference to educational standards. However, I don’t think that it does so when it seeks to mandate or to enforce the adoption of particular practices. I have seen governments (of all political persuasions) propose to require every school to have a school uniform, to play chess, to have before- and after-school care, to introduce a prescribed range of clubs, activities and societies – the list goes on. I never took a job in the department that was about making schools adopt a particular practice, because it didn’t seem a good use of my time. I don’t think it is how government has a useful impact. Indeed, none of the policies in my list above has worked. No. The way to create useful, sustainable change is not to prescribe practice but to set schools free. Not to stifle teachers, but to allow teaching to grow as a profession. And the way to have more independent schools is to allow schools to be independent. So, how do I think we breach this alleged Berlin Wall between the sectors? First, we need an atmosphere of mutual respect, in which everyone is out to learn from everyone else. In my experience, great leaders are constantly looking for great new ideas and new methods to borrow. For example, within United Learning, if I go to the outstanding Paddington Academy, I will find ideas taken directly from independent school of the year Guildford High School, as well as other schools in the Group. And if I go to Guildford High School, I’ll equally find ideas lifted from Paddington and other schools. Great leaders look to improve all the time. And when everyone is borrowing ideas freely, the barriers and the idea of a pecking order get broken down. Second, a rigorous, evidence-based appreciation of excellence. We aim to identify excellence on the basis of evidence – qualitative and especially quantitative. Where analysis of data shows a real impact on how much children learn, the question of which sector it comes from is irrelevant. That is not to deny that there are areas of particular strength in one sector or the other. Our independent schools do have particularly strong extracurricular programmes, and they emphasise teachers’ subject knowledge particularly strongly. Meanwhile, our academies tend to have very strong systems and emphasise teachers’ pedagogical skill. These contrasts are exceptionally valuable and provide a wonderful opportunity for colleagues to learn from one another. However, in being scrupulously evidence-based in our judgements, we avoid any risk of assuming that all the strength of a particular type always comes from the same sector. Also key are the networks and relationships that allow people to learn from one another. For example, our subject networks bring together teachers from both sectors – sharing both subject knowledge and classroom practice. When you have real excellence in both within a network, the opportunities for learning are very great. Finally, our approach is based on the joint development of practice between professionals. When we run excellence visits, allowing staff to examine excellent practice in one school, we don’t expect that ideas from one place will be taken wholesale and then dropped somewhere else. Instead, leaders and teachers develop those ideas together and make them appropriate for a new context. So, ideas from Walthamstow Academy about improving attendance, Stockport Academy about student leadership and Surbiton High School about creative approaches are popping up across United Learning – but not in identikit format – subtly shaped to suit new contexts. It was disappointing to read such negative views about the links between independent and state schools (What can the independent sector teach the state sector?, 20 January). I attended recently an inspiring conference organised by the Department for Education and the Sutton Trust for state and independent school leaders to celebrate the impact on pupils’ learning made by so many of our cross sector partnerships. The examples of effective co-operation between our two education sectors are legion; take just three from around the country. The Southwark Schools Learning Partnership, the Dorchester Area Schools Partnership and the City of York Independent State Schools Partnership bring together each year hundreds of pupils and teachers. In schools across the UK we share everything from the study of languages, mathematics and science to the experience of community music, playing sport and the organising of joint school trips. Such opportunities open up young minds and dissolve differences of wealth and background. John Harris would have been wiser if he had considered what independent and maintained schools can teach each other; investigating that challenge is proving to be fascinating, often humbling and, not least, great fun. private sector , which is as multi-faceted as the state system. In the last three years, about 50 private schools have closed down, amalgamated, or joined the state sector. Parents are looking hard at fee levels, and want to be assured this enormous investment is worthwhile. Meanwhile, politically, independent schools have become virtually friendless. In his famous novel, The Leopard, Giuseppe di Lampedusa writes, “If we want things to stay as they are, things will have to change” – and what was true for the complacent and unworldly Sicilian aristocracy is just as true for independent schools. If we want to survive, and if we believe there is a public value to our survival, we need to face up to some key challenges. The first challenge must be to root out the financial complacency that has eaten into the mission of too many great independent schools over thirty years of surging fees. In the last ten years alone, the cost of an independent school education has increased by 68% – almost twice the rate of inflation over the same period. I was never the head of a wealthy school, and so (rightly or wrongly) I felt the fee rises we inflicted on long-suffering parents were necessary. But I did wonder why schools with large endowments, or with an extremely well-established campus with top of the range facilities, needed to increase their fees so sharply – every year. Where did their money go? Too many grand independent schools were run as if they were genteel feudal estates. Their income was high, but controls were amateur or non-existent. Staff salaries were all over the place: good teachers were often paid too little, while bad teachers – often the noisiest ones – were paid too much. Sometimes, the head was not brave enough to cut back departments who no longer attracted pupils, and sometimes no one even looked at such basic cost factors as the number of pupils in a class. At an early point in my career as a headmaster, I discovered a normal GCSE geography set in my school was often only nine or ten boys, whereas in core subjects we would be teaching classes of 24. Accepting the self-evident consequences of such discoveries seemed to be unthinkably vulgar to some heads or governors. Much easier just to increase the fees by another 10%! The root of much poor spending control in some apparently top independent schools lay, ironically enough, with the bursar. But then he or she already had an impossible job coping with everything from black holes in highly complex pension schemes and multi-million pound building projects on the one hand, to spats between the maintenance staff and blocked drains on the other. A typical school bursar until recently oversaw (at least nominally) all non-teaching functions, finance, health and safety, site security, major building projects, repairs and maintenance, recruitment processes, inspection preparation, criminal record checks, and a thousand other crucial areas. Not surprisingly, weaker bursars, already out of their depth financially, preferred to focus on the smaller day to day problems, pushing aside any serious attempt at strategic planning. Sometimes heads saw this, but the governing body itself was too complacent or too frightened of “fall-out” to respond. Easier, again, just to put the fees up. Another challenge is to confront what is really a sort of moral indolence. Historically, too many private schools have been apparently complacent (or perhaps frightened?) microcosms, untouched by the winds of reality that blew beyond their high walls and long drives. For too long, no one wanted to tell anyone if they had problems. With some schools depending for their future entirely on positive local or prep school gossip, heads hid their worries and repeated or ignored the errors of the past. How else can we explain the horrific child abuse scandal covering decades in some of the most famous schools in the land? This week, the former headmaster of a renowned prep school began an eight year jail sentence – not for ignoring the years of sexual abuse at his school, but for being at the very heart of it. It is a lasting stain on too many independent schools that their default response to a knotty problem, even one of such human seriousness, was to belittle it or brush it away. Even today, some independent school heads or governors feel no great desire to connect with the world beyond their gates. Real and meaningful partnerships with local schools, assisting with academies, or offering one’s help as a governor of a local school – all of these possibilities offer enormous pleasure to my colleagues and me at King’s, and yet still some otherwise impressive schools are suspicious of attempts to break down the divisions between the state and independent sectors. And a final challenge is to welcome, rather than resent, the fact that Michael Gove not only means well for the maintained sector, but is going to press weaker independent schools to the very limit. Bad schools have no right to survive, whether they are state maintained or independent, and if Mr Gove can improve the education of the 93% of school children whose parents do not pay fees, this country will be all the better for it. But this is not to say the time for independent education has passed. Far from it. Independent schools have an exceptionally valuable role to play in this country’s education. In the last decade, they have outperformed both state and independent sector schools across the globe. Within the UK they have proved, in the face of endless scepticism, the lasting value of traditional approaches to education. That some have been indifferent to complacency, or even, in some cases, appalling wickedness, should not take away from the many examples of outstanding practice enshrined in the independent sector approach to children, their aspirations, and their welfare. Far too often in the past, the educational establishment has propagated modish untruths: pupils do better without structure or discipline, exams don’t matter, sports should be non-competitive, teachers work too hard to take trips or clubs anymore, Oxbridge is “too posh”, and so forth. Many of these assumptions ate away at the initially optimistic ethos of the comprehensive school I attended in the 1970s, and they have damaged countless state schools ever since. In all that time, the best independent schools have stood for everything that the current government now thirsts for. Even New Labour began to allow state schools to make real improvements when Andrew Adonis built on the academy concept formulated by his Tory predecessors. Like Michael Gove, Lord Adonis was open in his admiration of the incredible success the independent sector has enjoyed in the last thirty years or so, for all the failings listed earlier. Chief among these is its ability to balance high academic achievement with a world of extra-curricular opportunities, compassionate pastoral care, good communications with parents, and the ability to appoint men and women who really do see teaching as a vocation. 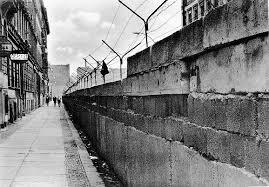 Berlin Wall – Who Built It? appropriate education for each child at the right time.